1 Complete the table below. 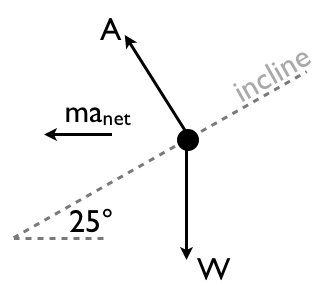 Draw the free body diagram for the box when is is being pulled by the rope across a rough surface at a constant velocity. What must you have if you have a normal force? 6 What must you have if you have a tension force? 7 What must you have if you have a weight? 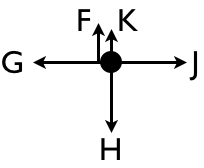 8 Draw a free body diagram of all the forces acting on the box if it is not moving but the rope is being pulled gently. 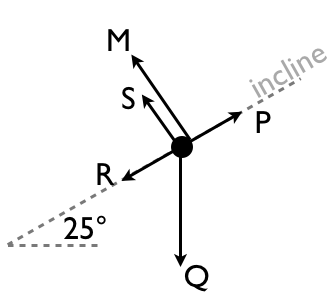 9 If a body is accelerating, then what force must be indicated on the free body diagram? 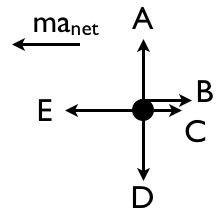 10 Draw a free body diagram for both of the boxes shown below. 11 Create two equations for the given free body diagram. 12 Create two equations for the given free body diagram. 13 Create two equations for the given free body diagram. 14 Create two equations for the given free body diagram.